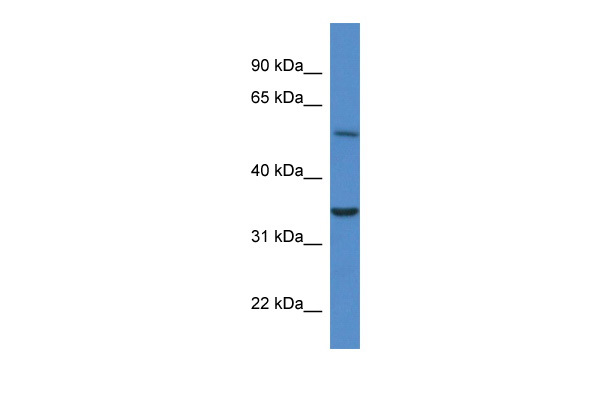 CYB5R4 monoclonal antibody (M01), clone 1E8 Western Blot analysis of CYB5R4 expression in HeLa ( Cat # L013V1 ). 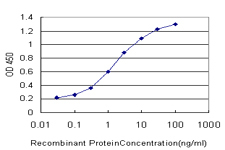 Detection limit for recombinant GST tagged CYB5R4 is approximately 0.03ng/ml as a capture antibody. (0.1ug/ml) staining of Rat Spleen lysate (35ug protein in RIPA buffer). Primary incubation was 1 hour. Detected by chemiluminescence.